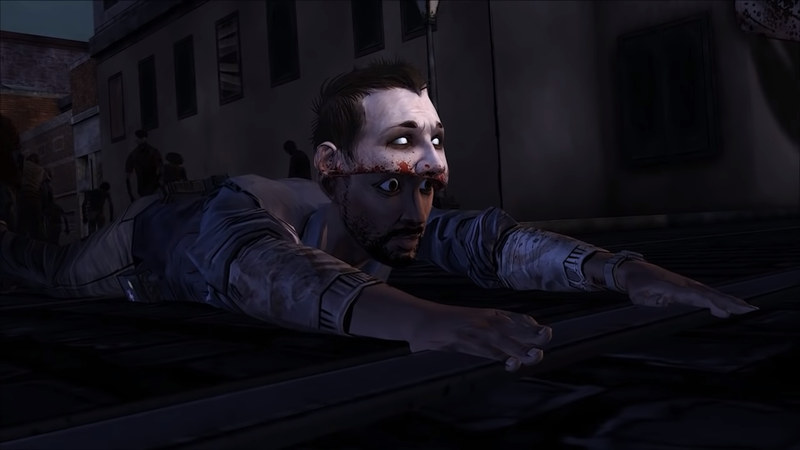 Former Telltale writer and The Walking Dead: Season 1 co-writer Jake Rodkin has some time out to post behind-the-scenes videos from Telltale, but may not top Tuesday's upload of a... ahem... 'alternate ending' to The Walking Dead's first season. The Telltale Games culling of over 200 employees continues to be one of the biggest stories in gaming. With Telltale at death's door, former developers are coming forward and sharing their stories about their time with the company and their stories about the games that came under their umbrella. Meanwhile, The Walking Dead: Season 1 co-writer, Campo Santo co-founder, and Idle Thumbs co-host Jake Rodkin has gone a step beyond by sharing unused game footage, bloopers, and random moments from the 2012 Shacknews Game of the Year. On Tuesday, he posted arguably the most interesting video so far. Rodkin took some time to upload an "alternate ending" to The Walking Dead: Season 1. This one goes in a bit of a different direction, with Lee becoming more of an action hero and taking on herd of walkers single-handedly. He even punches a walker's head off, sends it soaring into the distance, before running through the walker herd and catching it with his own head. Obviously, this ending was never meant to be used and it was created to offer some much-needed levity to the game's developers. After all, The Walking Dead deals with heavy material and often dabbles in misery, so why not shoot for some Tales of the Borderlands-style laughs? This is far from the only video to emerge from the past decade-plus at Telltale Games. Rodkin has worked diligently with former Telltale staff to upload hundreds of videos of behind-the-scenes footage, scrapped concepts, and humorous asides created across Telltale's multitude of games. New videos are being uploaded frequently, with the current count surpassing 300. Enjoy Lee breaking past the zombie defense to score a touchdown and find more videos like this on the Old Telltale Stuff YouTube channel. Lost it at the very ending.